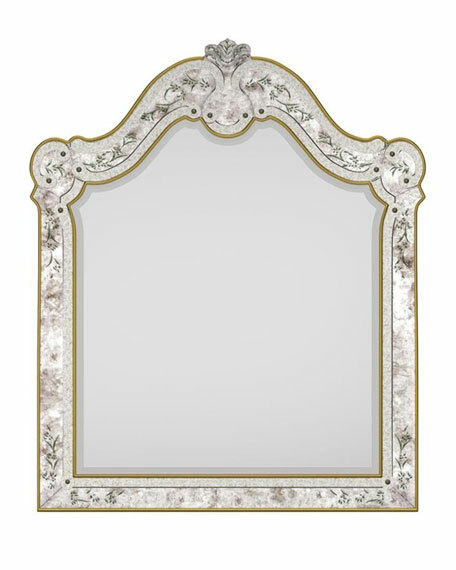 Mirror framed with scroll motifs. Hand-painted vine and leaf etchings on frame edges. 39"W x 1.5"D x 47"T.
Weight, 44 lbs. Boxed weight, approximately 60 lbs.